Like most people, I use various applications to download music. These programs will normally store music in a designated folder instead of the actual “Music” folder that Windows provides (Unless specified). To include these files in your library, click the “X locations” link underneath the navigation bar. 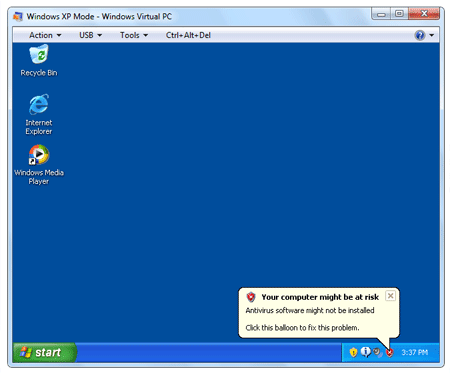 The number one feature that IT Solutions likes in Windows 7 is undoubtedly Aero Snap. 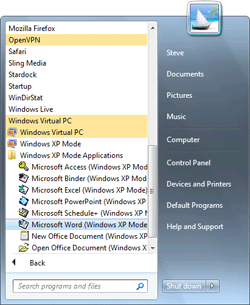 Aero Snap is a very simple feature that allows you to quickly organize open windows. The feature allows you to simply drag windows to the top, bottom, left, or right side of your screen. VMware has announced the latest version it’s flagship virtualization software – VMware Workstation 7 which is packed full of new features which are huge – including full 3D graphics support for virtual machines. 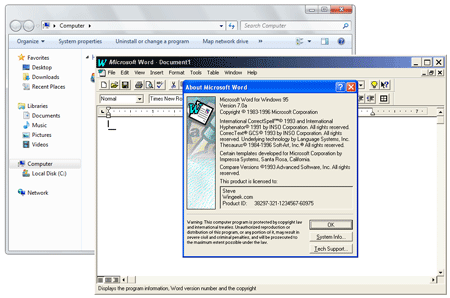 VMware workstation is compatible with over 20 operating systems out of the box, and can run many other operating systems unofficially. As previously mentioned, the new VMware workstation comes with full 3D graphics support for guest operating systems – meaning that if your computer can’t play a game, but has the resources to run a virtual operating system well, you can run an earlier version of Windows (or Linux) to play it. 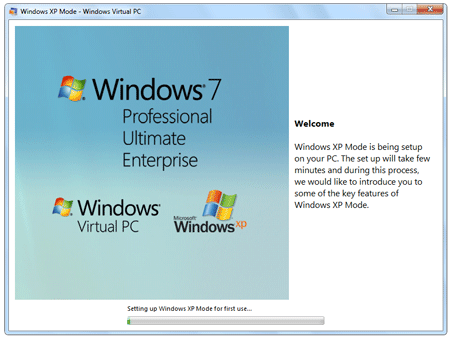 The new release also finally supports Aero – which is well coincided with the release of Windows 7. VMware is even claiming that their virtualization is “Better than Windows XP Mode, you can run Windows XP with 3D graphics, faster performance, and tighter integration with Unity“. 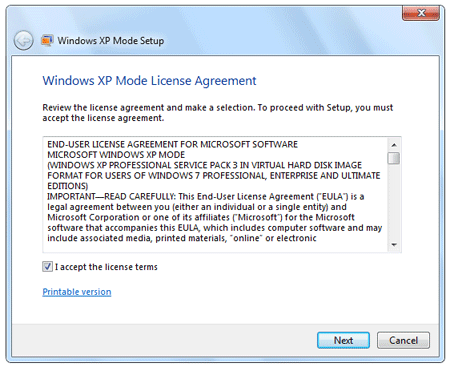 It is also compatible with Windows 7 features on the host machine, allowing the user to use Flip 3D and Aero Peek to view their virtual machines. 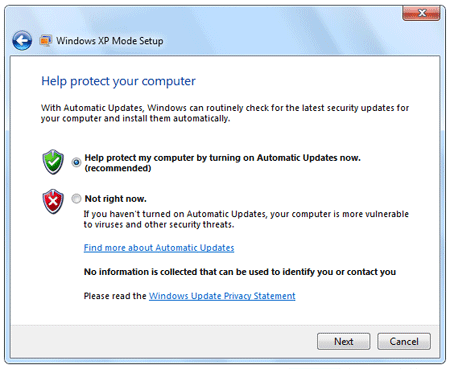 Other major new features of Workstation 7 include AutoProtect – a tool which automatically saves states of virtual machines, printing without printerdrivers, 256-bit encryption of virtual machines and more. A 30-day trial version can be obtained from VMware’s website. 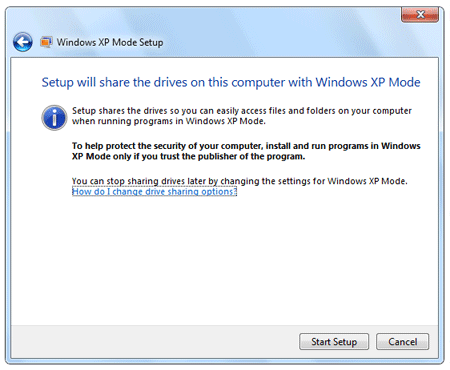 First, visit the XP Mode Web page, select the edition and language of Windows 7 you have and click theWindows XP Mode button to download that component. 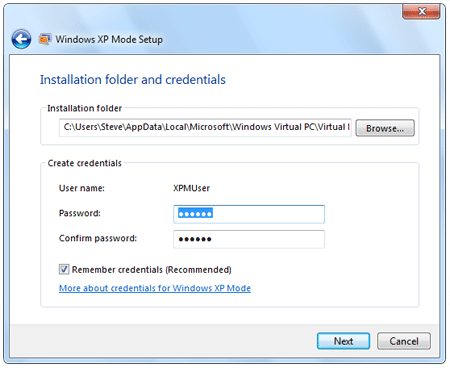 After the 470 MB XP Mode component is downloaded, install. Today is Windows 7 Day!